In the wake of the recent disaster in Japan, I would like to re-post an older story about the math of happiness. With 3,700 dead and over 6,700 still missing; hundreds or even thousands with a radiation exposure; 450,000 living in shelters in the freezing weather under snow, sleet and rain; and continuing aftershocks Japan needs our support. Please consider a donation and read below how helping others will make you happier. We've all heard that being optimistic, grateful and forgiving will make us happy. If you look in the mirror and still see a pessimistic, ungrateful or vengeful person in front of you, here are a couple of easy bits to improve your well-being. Surround yourself with happy people. A recent study conducted by Harvard University and the University of San Diego professors reports that each additional happy friend increases our probability of being happy by about 9%. For comparison, having an extra $5,000 in income increases the probability of being happy by about 2%. Therefore, two happy friends can make you as happy as $40,000, by increasing your chance of happiness by 18%. So, if you haven't received a holiday bonus this year, make up the difference by adding cheerful people to your circle of friends. And share your own happiness with your friends, or support them through hard times – their happiness will project back on you. Not only moral support counts. Spending money on others (gifts and donations to charity) does bring us happiness, according to another scientific study from University of British Columbia and Harvard University. Giving other people even as little as $5 can lead to increased well-being for the giver. Additionally, people report greater happiness when spending money on others than when spending money on themselves. On the other hand, if you are stuck with an hour commute each way – try to make the best of it. Many creative home business ideas come to people while they are driving. 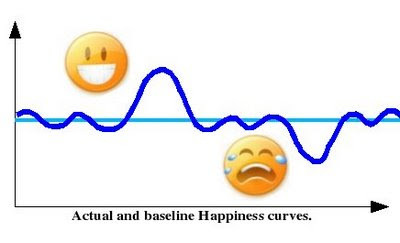 Most researchers agree that each of us has a baseline of happiness and our actual happiness curve snakes around this baseline. Happy life events bend the curve up and sad occasions push it down. Lets try to relish the “up” moments, increasing their magnitude and stretching their duration. Every achievement deserves a celebration. Be it progress at work, surviving a verbal wrestle with a teenager, entertaining your kids for the duration of a holiday week, or finishing home reorganization. Find a moment and treat yourself to a fancy cup of coffee, dinner with a friend or a shopping adventure. Don't wait too long, do it quickly before some set back overshadows the achievement and sends the happiness curve below the baseline. Sooooo, trade the money for friendship, give generously, start working from home, and celebrate every little occasion – you will find yourself much happier and will see an optimistic, grateful and forgiving person in the mirror. Ron Gutman: The hidden power of smiling. http://best-write-my-essay.com/. In summary, justify your expectations. Additionally acknowledge to require a goose at your most sizzling profit stub or perhaps confirmation of money stream title loans norman ok whereas your driver's modification or perhaps examine ID. Entirely with U. S. embody of money, discovering the used you'll be would love will clearly be quite our principle necessity. I have found a lot of information in this article. I really enjoyed, I would like more information about this, because it is very nice., Thanks for sharing. Right after looking out throughout the internet and meeting recommendations which were not beneficial, I thought my life was over. I'm not sure what I would have done if I had not discovered such a solution like this. I am able to at this point relish my future. Thanks for your time so much for your high quality and effective help. I won't hesitate to propose the website to anyone who requires tips about this matter. I truly wanted to send a message so as to express gratitude to you for all of the splendid tactics you are sharing at this website. I have to point out my appreciation for your kind-heartedness for visitors who actually need help on your field. Your own important advice means a great deal a person like me and further more to my office colleagues. I as well as my friends were found to be taking note of the excellent tips located on the blog while at once came up with a horrible suspicion I never thanked you for those tips. The men happened to be as a result stimulated to see them and have surely been enjoying those things. My personal sincere apologies for not expressing gratitude to you sooner. I am commenting to let you be aware of what a wonderful discovery my cousin's daughter undergone studying the blog. You really exceeded our expectations. Thanks so much for providing individuals with such a remarkable chance to read from this website. It really is so fantastic and also packed with a great time for me and my office mates to visit your website a minimum of thrice in one week to read through the new secrets you have. And indeed, I am just usually astounded considering the mind-boggling guidelines you give. I intended to post you the very little observation so as to say thank you the moment again on the pretty solutions you have contributed at this time. It's quite remarkably open-handed with people like you to grant extensively all a number of people would have sold for an electronic book to help with making some bucks on their own, notably given that you might have tried it if you decided. I have to express my thanks to this writer just for bailing me out of this type of situation. Glad to be here and to collect some awesome post,thanks for share this with us. Want to chat a good person who always make a good friend of you.Just add Sam Kkc a facebook and he will always like your post and always make good comments on your post. Plan out when you will take a break. Taking a break to eat, drink, and kick up your heels is often a good idea. However, don’t let yourself become too distracted during your break! Plan out a chosen amount of time that you will take a break for. It is best to take a break after you have completed an entire task rather than in the middle of it. One example could be that you plan to take a break after you have cleaned out under your bed and before you start organizing the smaller things in your room. • Don't take a break if the time of your break comes around and you feel as though you're on a roll. 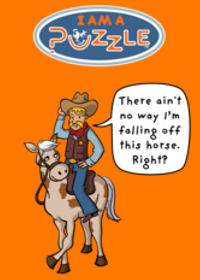 Use that feeling of being on a roll to get even more done! You're so cool! I don't suppose Ive read anything like this before. So nice to find somebody with some original thoughts on this subject. really thank you for starting this up.